There’s a fine line between earnest self-promotion and obnoxious hucksterism. I figure I cross it about once a week now. 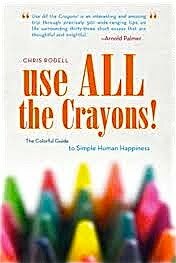 I’ve never had a more vested interest in anything succeeding like I do with “Use All The Crayons!” and won’t again until my kids are old enough for me to bum money off them. So there’s an inherent tension anytime I sit down to write about anything involving the book. I guess I’m waiting for a catalyst, a moment when I cross some intangible finish line where the book does the work of selling itself -- and I don’t feel the pressure to so aggressively hype it here on the blog. I’m waiting for what happened Friday at the Greensburg Barnes & Noble to happen all over the country. That’s what happens to a book that sells well enough over a long enough period to warrant automatic restocking. Once a book gets modeled, it will always be in the store because the hard-earned designation rarely gets altered. That to me is a finish line. Thanks to my many friends and their tremendous word of mouth support the book will always be on the shelf in the self-help section. I promise to be sure to sign each one of them and will once in a while sneak crisp $5 bills between pages 12 and 13, my way of putting my money where my mouth is on item No. 33. I’ve read the average self-published book sells fewer than 100 copies. I sold that many in December. And it’s still selling two or three a week during the worst book selling season of the year. 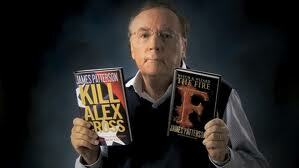 My book is modeled and James Patterson’s isn’t. According to the formula, Patterson and many other best-sellers do well right out of the gate and then disappear. That same formula projects, based on about six-months of sales, my book will continue to thrive. There’s no reason to believe that can’t happen in every book store across the country. My book isn’t about a region. It’s about a state of mind. And people in places like Albuquerque and Des Moines are just as eager to be happy as they are in Greensburg. My book’s current amazon.com ranking is 1,294,180. James Patterson’s new book, “11th Hour (Women’s Murder Club) is No. 803. He’s being chauffeured around Palm Beach in a stretch limo. I’m driving my 2007 Saturn Vue to the Latrobe laundromat because my wife says our well water turns all our whites the color of a bottle of Coppertone SPF 50. I don’t think Patterson’s losing any sleep that I’m modeled in Greensburg and he’s not. Doesn’t phase me a bit. I believe very soon Barnes & Noble evaluators will see how well my book’s doing in western Pennsylvania and will use their precise formulas and handy intuition to conclude the little-book-that-could ought to be in every store. It’s bound to soon, I believe, attract the attention of one of the prestigious publishers that summarily rejected it because it looked like it was authored by a loser. They will want to give it the kind of attention, polish and marketing they bestow on Patterson’s books. And then watch it take off. So I apologize to those of you might get topical fatigue from reading about the book. See, for me being modeled just isn’t good enough. I won’t be satisfied until I’m supermodeled.